Londoners as well as the millions of visitors of the great diverse city of London are spoilt for choice when it comes to restaurants, bars and over all recreational venues. Now one may be quick to think that staying in London makes it easy to make a choice on where to dine. WRONG! With a plethora of dining experiences and cuisines it makes it much harder to make a choice especially if you have picky friends such as mine. Having invited a dear friend out to dinner, I went about searching for a chic and classy venue, quiet and tranquil, new and fresh without necessarily being too conservative, stuffy and boring. 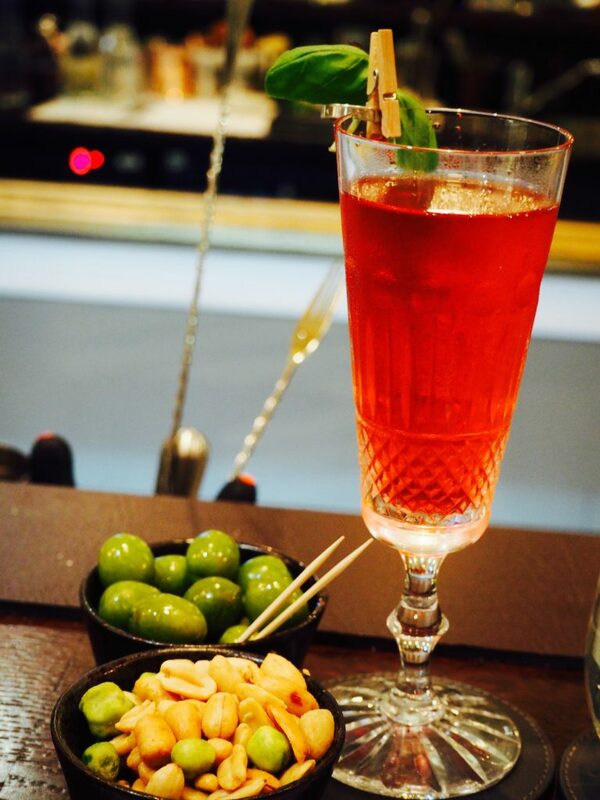 Cue the new Hyde bar nestled in the quiet residential Westbourne Terrace. 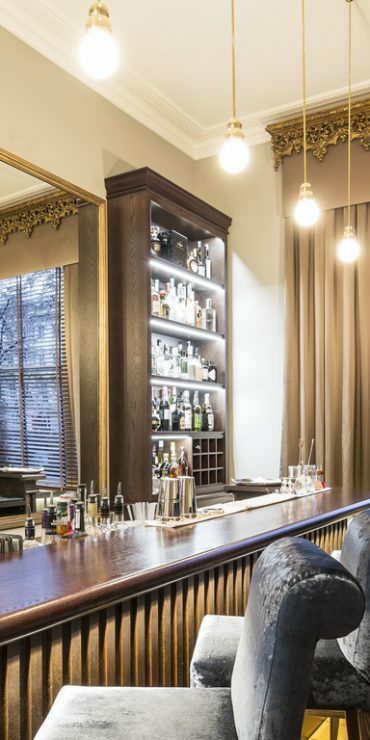 The newly opened Hyde Bar is housed in an elegant and stylishly fashionable 19th century British townhouse The Royal Park boutique hotel just a stone throw away from Hyde Park. 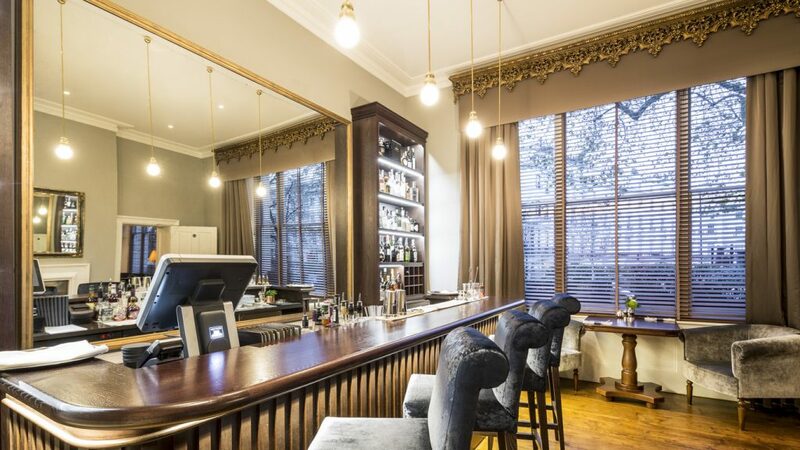 Walking into the hotel, I was warmly welcomed by the very attentive staff and shown into the dimly lit luxury hotel bar which has retained its original period features of the 19th century British townhouse. 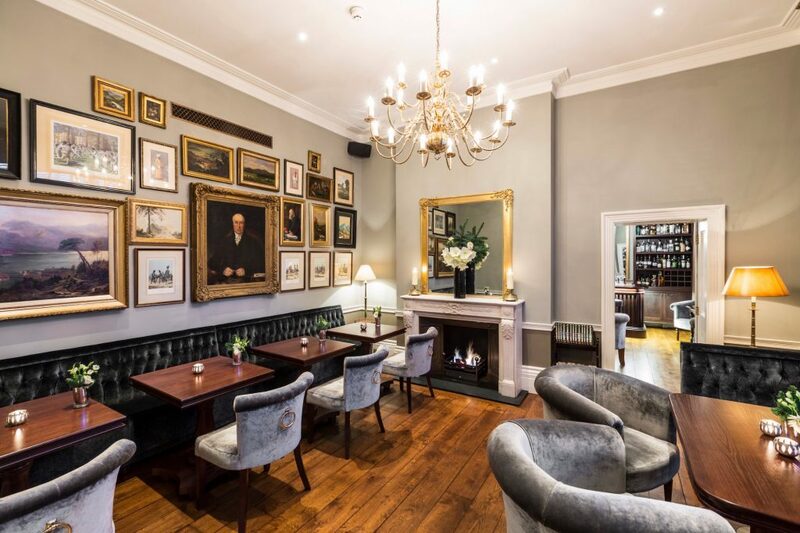 There is a grand open fire place, a huge chandelier hanging from the high ceiling, antiques, priceless artworks on the wall and an old mahogany or rosewood bar that all give the room that quintessentially British vibe. 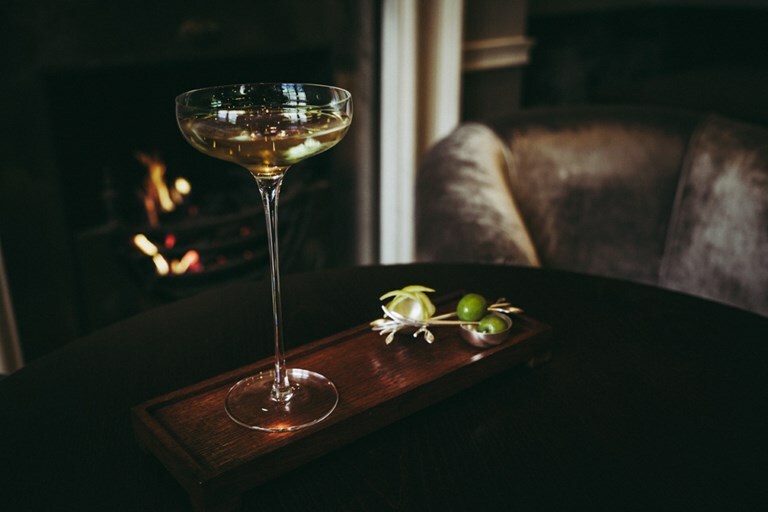 As I waited for my friend at the bar and perused through the the short and precise dinner and cocktail menus, I could not resist the offer of a glass of Laurent Perrier champagne to ready me for a glamorous night ahead. After guzzling down my glass of champagne (I was parched) barman Max recommended that I try the E-Pluribus Unum cocktail made from Monkey47 gin, hibscus shrub, basil and laurent perrier champagne. I will testify that this cocktail is not only delicious but also light with the basil and vinegar giving it a bit of freshness perfect for a pre-dinner drink. As much as I enjoyed the previous cocktail, I was determined to try the Kong which is a spicy cocktail made from home made banana liqueur, espresso, habanero chilli serum, rum, a delicious modern twist to a the traditional espresso martini. The experience was all too pleasurable indeed. Somewhere between the E-Pluribus Unum and Kong cocktails, my dinner date finally appeared and we both had the pleasure of of trying out the mouth watering El Rey Dorado cocktail made from 15 year old Eldorado, yellow chartreuse, demerara saffron, orange and saffron bitters. Not as sweet as the previous two cocktails however, it has a kick to it that is a perfect for an evening out. 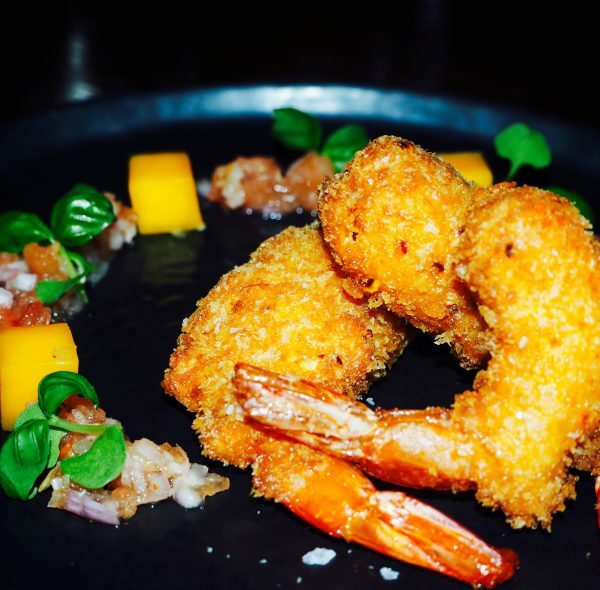 Dinner at The Hyde Bar curated by Chef Matt McKiernan is a Tapas style feast of delicious small dishes cooked using the finest meant to be shared on the table. Being a late night dinner, myself and my dinner date chose to try three of the dishes each to give us an overall view of the menu mainly basing our choices on fish and meat dishes. 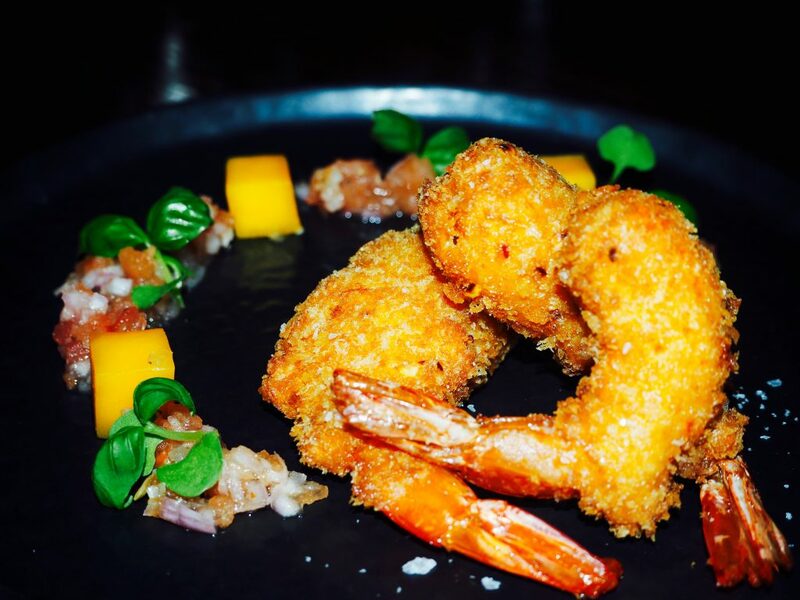 In the end we chose to go for a mouth watering chilli tiger prawn katsu, mango, lime served with a chilli salsa, a sesame crusted yellowfin tuna dish served with a freshly crushed avocado and wasabi with a spicy kick, hot smoked salmon, pickled samphire, cucumber, salmon roe with a mustard salad dressing. From the meat menu, we chose a very tasty smoked venison saddle, fondants, black berry sprinkled with gin and cocoa oil, Foiegras terrine, sauternes poached apricots with red wine and finally pan fried quail, crisp bacon served with raspberry and quail egg. Go ahead and judge us (I would too if I were you) but we just could not help ourselves as each of the dishes offered a different a memorably toothsome experience. One would be forgiven for thinking that dinner had come to an end however there was dessert to tackle and one look at the dessert menu, we just had to make room for a little more indulgence. Whats the worse that could happen, perhaps a food coma from which we would recover with smiles and great memories. We decided to order the Trio pavlova served with raspberry and mango kiwi, sweet potato and pecan fritter served with maple syrup and honeycomb as well as a very delectable chocolate and beetroot cake served with greek yoghurt creme fraiche. DIVINE! 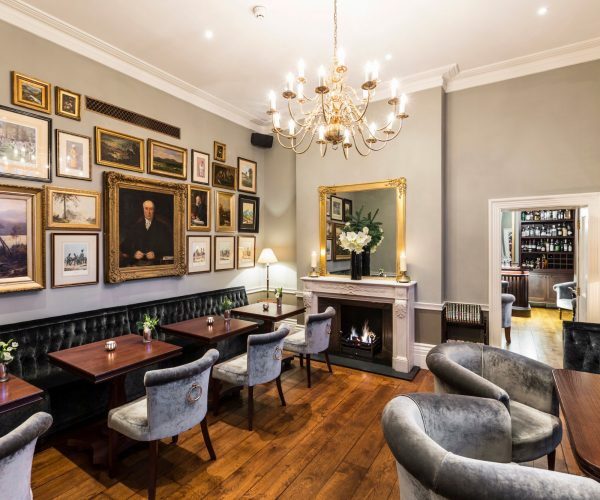 Dinner and drinks at the Hyde Bar is an intimate affair that I recommend to couples and friends who wish to enjoy a sumptuous and opulent evening in the heart of London within an attractively unusual and old-fashioned but very luxurious setting. 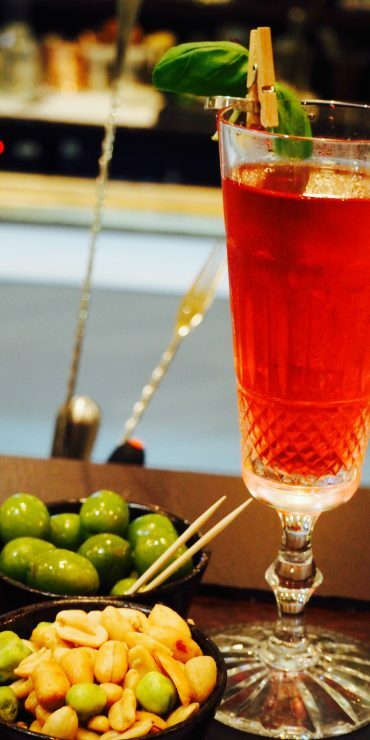 The cocktail menu at the Hyde Bar alone makes it all worth the visit. Thank me later…..